Videogames, like all other media, can be a fickle business. Highly anticipated titles can flop while relatively unknown works suddenly surge into extreme popularity. And on either side of these rises and falls, you’ll likely find people with regrets one way or the other. 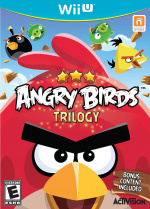 To give you an example: when Angry Birds released back in 2009, its initial success was quite limited. In fact its publisher, Chillingo, contacted me to see if there were possibilities to put an Angry Bird in Toki Tori to raise awareness of their game. Back then Toki Tori was a success for Chillingo, whereas Angry Birds (which was released on their B-label: Clickgamer), was not (yet). The idea was to put an Angry Bird in Toki Tori and they would then put Toki Tori in Angry Birds. But when I played the game, I strongly felt that it wasn't a right fit to put in Toki Tori. And I declined. A couple of months later, the sales suddenly picked up massively. The rest is history. In retrospect, it has been my worst decision ever. Anyhow, the point is: it is very difficult to predict success. When AB released there were already a ton of physics based games on the App Store. When Temple Run hit the store, there were a lot of infinite runners on there as well. Why did they succeed where others failed? Part of it is being lucky. Releasing the game at the right time. Being featured at the right time. The only thing you can do is to go for it, completely. If it then still fails, bad luck, but at least you tried! How much do you think luck or circumstance plays in the reception of certain games? Let us know and feel free to share some examples below. Would've been really cool to see an Angry Bird in Toki Tori! Don't worry Reuvers, sometimes dignity is worth more than fame. On the bright side, at least Toki Tori was never besmirched by that awful game. @Kaze_Memaryu Arg, beat me to it. I think it could have been fun tba. Worst business decision, maybe. But it was absolutely the right decision artistically, and I commend the man on making the correct choice. If I made a game. I'd rather have it be an obscure classic than an over-rated one that get's a movie, clothing, toys, board game, snacks, and theme park made after it. You fling birds at pigs, people. Does it REALLY deserve all this? He made his decision based on his own "strong" feelings that it didn't fit his game. I think he should be commended for that, and try not to have regrets over passing up on what would've been good for business. If I ever got into game development I'd certainly want my vision and integrity to weigh more heavily than the business aspects of it all. @BooJoh I agree. And judging from the tone of his writing (and all the smile emoticons I removed for the story here), Reuvers doesn't sound like someone who severely regrets the decision he made, or at least he doesn't dwell on it. Nothing guaranteed that Angry Birds would be so successful and nothing guarantees that Toki Tori would be as equally famous for appearing on Angry Birds. The little bird has enough merits on his own. I got the original and the Wii U sequel and I have no regrets over that decision. Angry Birds haters kinda scare me a little. People like it. So what? I find it kinda boring, but Angry Birds Star Wars is fun (believe it or not it's even more fun watching with a group). It's not deep or particularly rewarding, but it was just the right type of entertainment introduced at just the right time for a huge group of consumers. People dig the characters and the absurdity. It's charming enough. It's not like it has some horrible amounts of IAP or is deceptive or anything. It's not like it costs more than it should. It's not like people who were gamers are suddenly converted into casual game zombies because of it. What's the hate all about? I like Angry Birds. If it would help pay my bills (which is all anything is about these days), then I would've gladly partnered with them. Shame. But it's cool. Toki Tori is an awesome game as well. What does dignity have to do with any of this? Sometimes this hate for the game is unwarranted. Is it hated for being popular? Or dare I say it, it may threaten Nintendo? He should call up the guy who worked at Mars who decided not to let E.T. eat M&Ms. They could grab a brew and commiserate. This is like that one guy who owned 10% of Apple and sold his stock in the 70s. If he still had that stock it would be worth billions today. That's too bad. I wish the guys at Two Tribes all the success in the world. @LzQuacker You know it is. You know most people here hate on anything that doesn't have Nintendo's brand slapped on it. A good game is a good game. You never know how things will play out. The guy, according to this article, was approached BEFORE Angry Birds was the success it is today. Saying "yes, I'd like to collaborate with you" or "no, I don't see how our characters can fit in each other's respective universe" has absolutely nothing to do with dignity. The man was saying it like it was. @aaronsullivan I think its very simple. People hate the fact that Angry Birds is so popular, so they will go out of their way to act like it is the worst game ever made. It's the same problem I have seen with Call of Duty. People hate Call of Duty, so they will lash out in the most igronat ways against the game. Generally, it's not even about the gameplay for some people. For them, the fact that a game like Angry Birds and Call of Duty are more popular then their favortie games leads them to bash them. And before people think I'm nuts, I have seen people do things like that. Now, I can understand people may not like a game when they play it and I respect that. And if a person has a a real argument against a game, I will gladly respect it. But a disturbing number of people have started spewing venom at games not because they dislike the gameplay, but because the games are "Popular" and they feel that those games don't deserve the popularity they get. Let me be very blunt, like them or not, Angry Birds and Call of Duty must be doing something right if they are always at the top of sales charts and they sell million of copies per year. And no, I don';t think all the success these games gets is due to the "uninformed Casuals" who gobble them up. I would stand to reason that a large number of core games play those two titles. Which bring me to me point. It's easy to call something overrated, and you have every right to vote with your wallet and walk the other way with these games. But people complain way to much about Angry Birds being plastered on everything known to mankind. Its popular and being over-rated has nothing to do with it. So, the millions of people who love these games are wrong? I hate to say this, but I have noticed a recent trend towards bashing anything that becomes popular by calling it overrated and undeserving of its success. If you don't like Angry Birds, that's fine. Hell, feel free to judge the gameplay and explain why you dislike it. But I wish people would stop complaining about the popularity of a game. Just because a person did not personally like the game, does not mean the game is undeserving of its success. I just wish people who stop tossing around "overrated" like its going out of style. I agree with alot of the comments here. 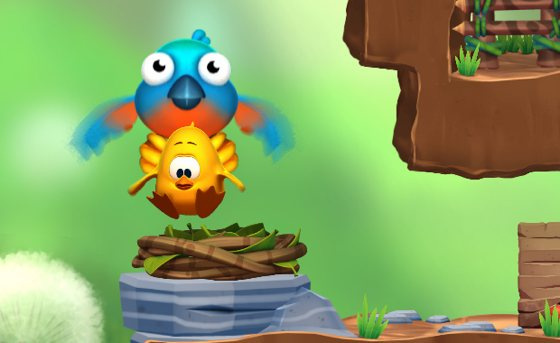 Toki Tori is a WAY cooler game than Angry Birds, which is why it doesn't really matter. They didn't make money, but alot of people would agree that Toki Tori is the better game anyway. I just don't like Angry Birds, that has nothing to do with Nintendo or whatever you buys are saying about "hate". TBH, I bought the s***y version of Angry Birds off of PSN for $3. I still don't think it's as good of a game as Toki Tori, but they have the money. Funny how things work. Angry Birds may never have picked up the way it did if he HAD gone through with it. There's no way to tell if the situation could have damaged both franchises. Disliking something solely because it's popular is wrong. However my dislike for Angry Birds stems from my belief that it is hugely overrated. If he really did think it would not be good to have in the game, then why does he now think the game would have been better/sold more if it was in the game. Perhaps it would have ruined the game and it would sell less, like his initial intuition apparently told him. Toki Tori is my favorite game on WiiWare. I also have it on my IPad. Still have to DL Toki Tori 2 though. I remember the first time I had heard of angry birds. It was during a christmas party and a friend of my cousins mother said if I liked video games. I said sure and I was surprised that she played games. Then she pulled out her cell phone and showed me angry birds and talked to me about the mechanics of the game and how much fun it was. I was pretty surprised by how much fun she was having with a simple game, but I remember my first game was a very simple one and I had a blast. It was called donkey kong on the n64, simple mechanics but challenging game and I think many people who have never played games before are drawn to it with the use of cell phones. Even my sister plays simple cell phone games and she never played smack before that. COD was popular with the fourth game and word of mouth spread like wildfire. Once people are into a franchise they always tend to stick with it as it becomes a part of their lives. I can never bash a game for being popular because it brings happiness to other people and I always remember that mother that was introduced to gaming with angry birds. Peter Vesterbacka (the CMO of Rovio) was once at our school talking about how important it is to learn, be interested in school and whatnot. Out of the many things he said, this one thing got somehow stuck in my head. He told us that there was a Swedish skier that mentioned Angry Birds in an interview, and this resulted to the game getting more and more known across Europe, and soon after that the rest of the world. So yeah, the success of a game has pretty much to do about luck too. It's not so much about the popularity of those games, it really is due to the gameplay. The gameplay of most famous games nowadays has been used quite some time ago, but they become popular due to social reasons. Call of Duty comes right on time to answer the increasing paranoia of people who're scared of terrorism. Especially americans simply love to do 'the right thing' or at least use weapons without dire consequences. That way, it also spreads through people who like to play online, which is the core of CoD's replayability. However, the fan community denies the entire series' flaws, despite ther obviously being quite a few, instead becoming defensive when someone insults their share of 'patriotism'. Angry Birds is a similar case, but a different cause. It came out at a time where many people who owned smartphones started to wonder if they actually jjust bought an expensive tech tool. And then a simple game showed up to serve both casual and core gamers with increasingly difficult levels and challenges. Smartphone owners at first didn't have much to say about it, but then it reached Cult status when the next wave of smartphones showed up on the market. It became a prime example of how to do good smartphone games. But of course you can't expect console gamers to take a 'phone game' seriously. Yet much to their shock, it became popular with the increasing number of smartphone owners. Very popular. But despite its popularity, it would obviously never hold a candle to most console games (the X360/PS3 port shows that well enough), yet it turned into an entire franchise all piled up on a game about throwing birds against pigs - not to mention how much has been made on top of it just to further milk it dry. Don't just depend on community voices, it's always the same people proclaiming loudly what isn't true. But what I can say is that it's sad how it's always the simple stuff that becomes popular instead of the original games in this world - simply because the latest generation of gamers is too lazy to improve, instead expecting instant progress. @Caryslan I think the unwarranted hate Angry Birds gets is due to "casual gamers" and "non-gamers" loving it. @Kaze_Memaryu But Angry Birds and Call of Duty have great gameplay. If someone dislikes it, it certainly wouldn't be general tastes since the million's of fans would argue otherwise. It's hate is not due to it's fame, nor to it's gameplay in most cases. I'm sure it's because, well, the same reason you think Call of Duty and Angry Bird's got succesful perhaps. @Caryslan "But a disturbing number of people have started spewing venom at games not because they dislike the gameplay, but because the games are "Popular" and they feel that those games don't deserve the popularity they get." That pretty much summed up my attitude towards Pokemon after I graduated High School in '99. I had a Game Boy Color and there were never any good games on store shelves because the shelves were literally filled with Poke-games. But man, I played the crap out of Tetris DX and the WarioLand games. I never said they aren't good, I just say they aren't as good as fans make it out to be. It's always boiling down to them calling it the 'best game ever' and actually denying or ignoring every single flaw there is (repetition for AB, bad weapon balancing for CoD). But I guess I should correct myself: the hate from others against these games doesn't simply originate from either fame or gameplay - it's probably more of a mix between those two. Most people I asked as to why they hate these games told me stuff along the line "it's not the best stuff since sliced bread, but people say it's even better". Such utter overestimation of gameplay on a technical plane is not uncommon, but in these two examples (and quite a lot of others as well, I know), it's simply baffling how far many fans go just to uphold their delusional perceptions. I'm by no means against the fame of these games - what bothers me is that the fame is built up on overstatements through which it's hard for outsiders to see the actual gameplay value of the game. That's what you call "missing the boat". Well, such things can happen!